Spend a day with one of the world’s top leadership development thinkers — the venerable Dr. Marshall Goldsmith — and this is the zen of his message. He filled an auditorium, no surprise, with a rapt audience. Interestingly, his focus was as much on the personal aspect of our lives as the professional. A confirmation of the confluence we are experiencing in this challenging, new, 24/7 world. Getting rid of stress is key to behavioral change and life improvement, according to Goldsmith. Unload the unproductive aspects of daily life and gain energy for the goals we seek to achieve. 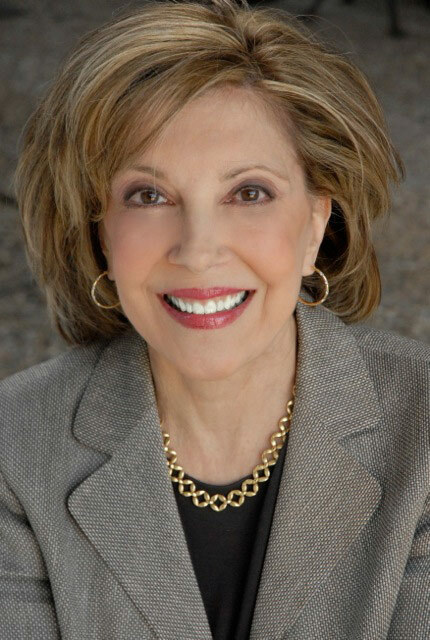 As an example, his research shows that 65% of all interpersonal communication is spent on either crowing or groaning, i.e., people talking about how smart, special or wonderful they are — or listening to someone do the same; people talking about how smart, special or wonderful they are — or listening to someone do this. Reduce these stats and you will reduce your stress. Streamline your efforts. Ask yourself, what one behavioral change will make a significant positive difference in my life? How will this change make a difference? List the benefits. Repeat the process. Follow-up and accountability are key to achieving the result. Helping as much as you can. Ask for input. Offer to help.It’s not what we say. It’s what we do. 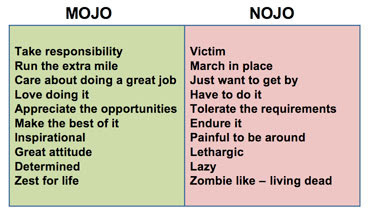 Here’s the best part: The importance of having Mojo in work/life, as opposed to Nojo(a wonderful counterpoint phrase invented at the request of his book editor).What do you radiate? It makes a difference at work and at home! Every decision in the world is made by the person who has the power to make the decision. Therefore, he suggests, at any point in the day, ask yourself:Is what I’m about to do in the best interest of myself and the people I love? Be accepting. Be happy. Let go.